Tuscany is a land of hills and valleys, studded with lines of cypress trees and jewelled with terracotta coloured towns and villages that enliven the patchwork of olive groves and vineyards that make up so much part of the landscape. The soil and the sea, the food and drink. the air and the light, the animals and people are woven together into an indissoluble network that connects them all into a whole that is irresistible and seductive. Spirituality sits comfortably next to the carnal and the whole experience is profoundly human, simultaneously existential yet part of something much bigger. 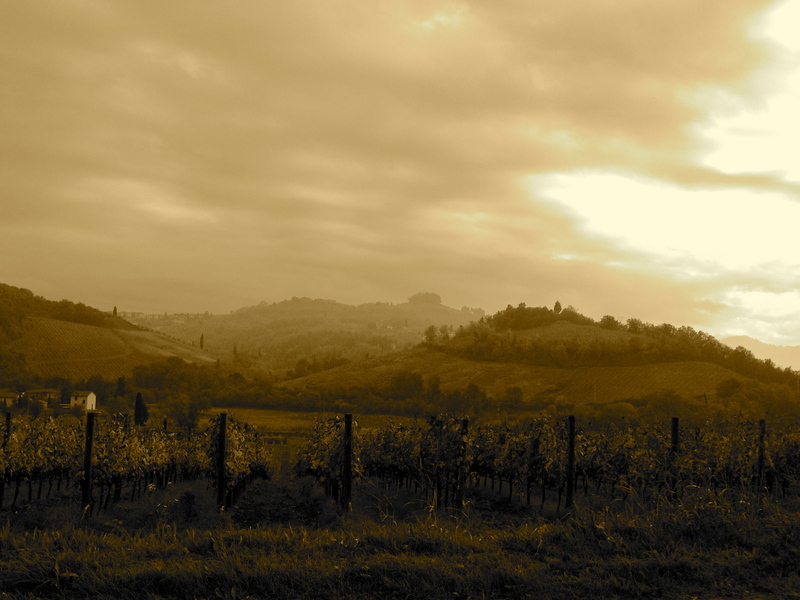 I recently spent a wonderful week in Tuscany courtesy of the charming people at villas in Tuscany specialists Tuscany Now. staying at a stunning 15th century farmhouse perched on a hilltop just to the east of Florence with glorious views of the River Arno and on to the city itself. 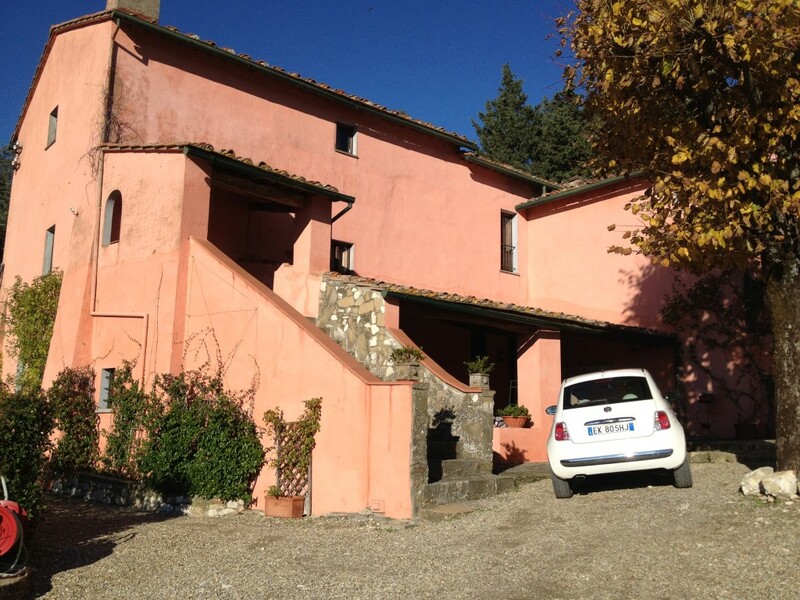 Fiona from the London Unattached blog and I took up residence in Il Monte which belongs to Tuscan super chef Anna Bini. Anna is a global ambassadress for Tuscan food with three restaurants in Paris and we were looking forward to meeting her at the end of our stay for a cookery lesson which turned into an amazing feast. But before that we had a week of food and art adventures planned including a day with the rather gorgeous Michela Ricciarelli. 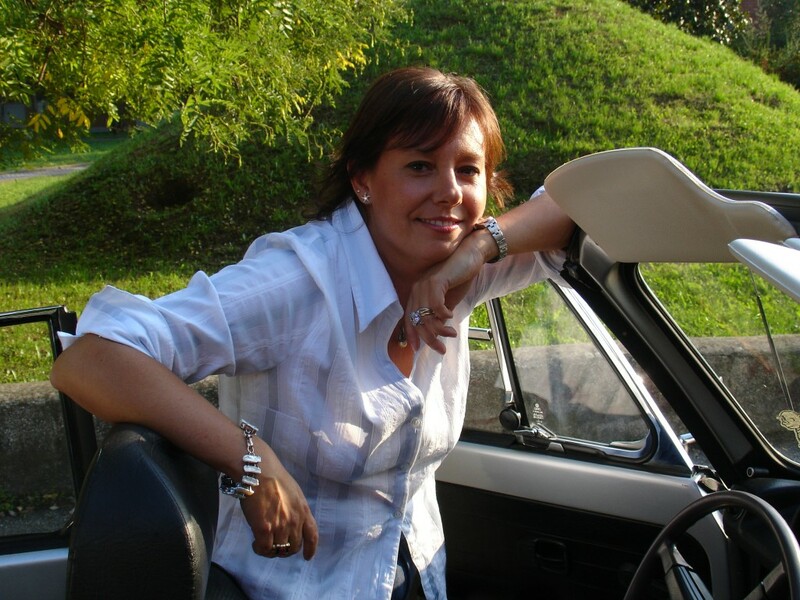 Miky, as she is known to her friends, is a personal tour guide who plans and leads food, art and fashion tours around Tuscany. She is a fountain of knowledge, advice and good contacts. 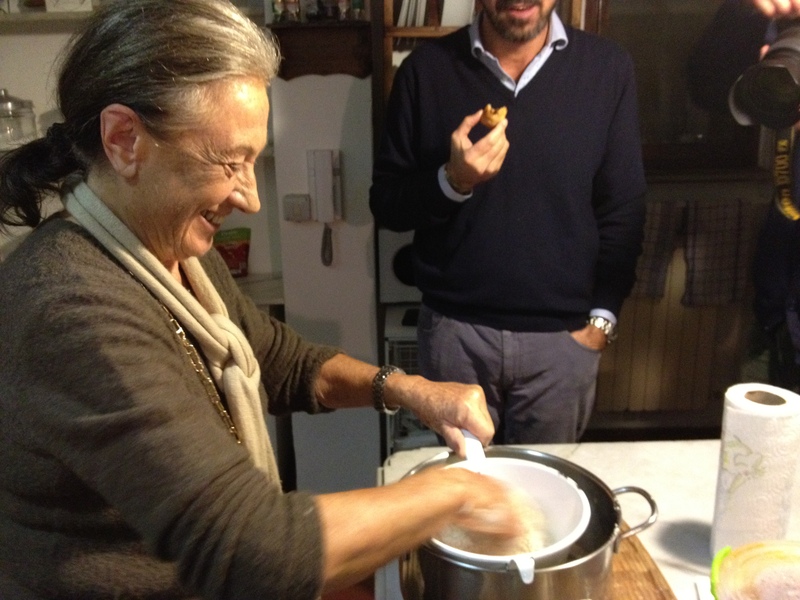 With Miki we explored the region around Pistoia, her home town, and experienced the pressing of the new olive oil, making ricotta and pecorino cheese as well as exploring the culinary highlights of Pistoia itself and eating two great meals. The week’s adventures also included a trip to the San Miniato truffle festival, two trips to Livorno including one to sample the intensely flavoured fish stew Cacciucco, a visit to the Cappezzana winery, searching for the best Cantucci biscotti in Prato, visiting the Martelli family pasta factory in Lari just outside Pisa, and of course time spent exploring the art of food of Florence. I hope you enjoy the posts covering these explorations of Tuscan food and culture as much as I did being there.